Offshore drilling rig components. Cruise ships. Supply boats. Passenger/vehicle ferries. Oceangoing tank barges. In-river grain transfer stations. Mooring barges. 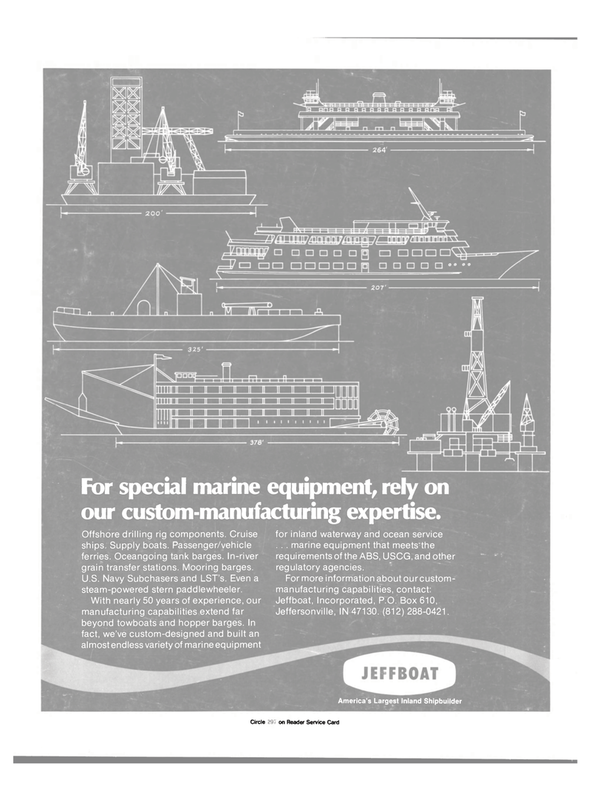 With nearly 50 years of experience, our manufacturing capabilities extend far beyond towboats and hopper barges. In fact, we've custom-designed and built an almost endless variety of marine equipment for inland waterway and ocean service . . . marine equipment that meets'the requirements of the ABS, USCG,and other regulatory agencies. Jeffersonville, IN 47130. (812) 288-0421.